So, much like the ‘Lord of the Rings’ films, each year, starting this year, we will have a new ‘Hobbit’ film, for the next three years. 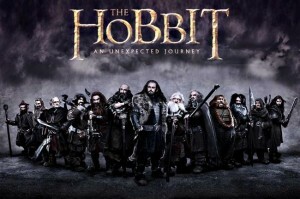 And I anticipate it will be the same schedule for blu-ray releases as was for the ‘Lord of the Rings’ DVD’s. Meaning that a few months after the theatrical release, we will get a blu-ray release containing the film and a couple of extras. Then maybe a month or so before the new film comes out in theaters, we will get the ultimate edition release containing many hors of extras and commentaries, plus a sneak peak at the next film. It’s a genius system. Plus, I’m perfectly cool with getting three ‘Hobbit’ movies. This entry was posted on Monday, July 30th, 2012 at 11:00 am	and is filed under Film, News. You can follow any responses to this entry through the RSS 2.0 feed. You can skip to the end and leave a response. Pinging is currently not allowed. « ‘E.T. The Extra-Terrestrial’ Blu-Ray Gets a Release Date and a Limited Edition Spaceship Set!! !